In the LSC process, the alloy is rapidly solidified and cast with a low pouring temperature which is typically just above the liquidus temperature. The low superheat casting, LSC process is based on rapid solidification of an alloy which is cast with a low pouring temperature i.e. the molten alloy is solidified at just above the liquidus temperature. With this method, a feedstock material is produced with a non-dendritic microstructure that is ready for spherization in reheating sequences of further semi-solid processes. Also, this technique has several advantages, for example, simple, cheap, low production cycle time, increased die life, and reduced porosity and solidification shrinkage. Low superheat casting (LSC) process is similar to the SSM technique that produces appropriate billets with low cost advantage. As mentioned above, in the LSC method, subjected metal is poured at just above its liquidus temperature and equiaxed non-dendritic grains are formed due to low undercooling and high saturation of nucleation sites. Reducing pouring temperature also triggers equiaxed formation instead of the dendritic structure. 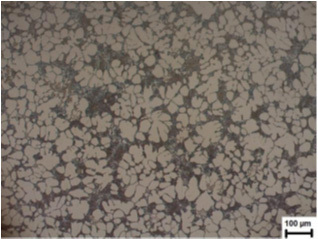 The key processing parameters affecting the final microstructure of the feedstock during the LSC process are pouring temperature and the mould material. 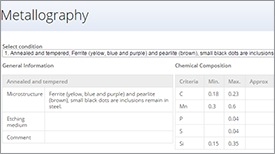 From the industrial point of view, it is essential to find out the best combination of these parameters to attain the best microstructure of the feedstock that is suitable for thixoforming. 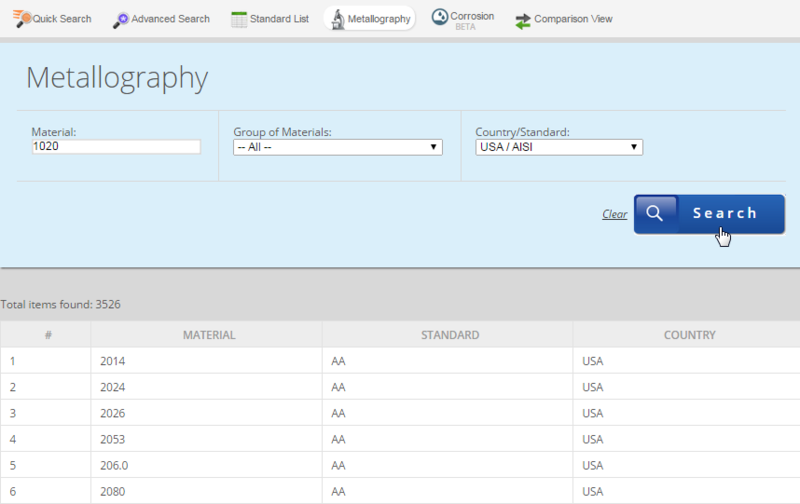 (2) optimize the LSC process parameters to obtain an A356 alloy feedstock with the best microstructural characteristics (i.e minimum size and maximum globularity of the grains) suitable for thixoforming. The Taguchi´s and analysis of variance statistical (ANOVA) approaches were employed to find out the optimum settings of each LSC process. 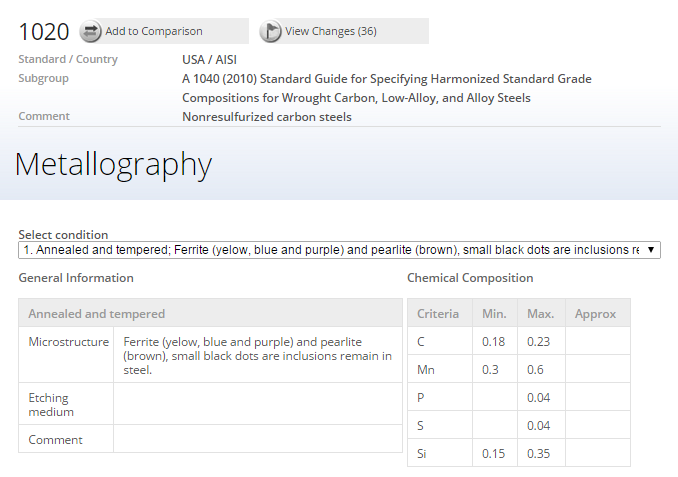 In this study, commercial A356 Al-Si cast alloy with the chemical composition shown in Table 1 was used. The differential scanning calorimetric (DSC) analysis was carried out to determine the solidus and liquidus temperatures of the alloy. The DSC experiments were carried out during heating with a heating rate of 5°C/min. Figure 1 shows the resulted DSC curve of the A356 alloy. 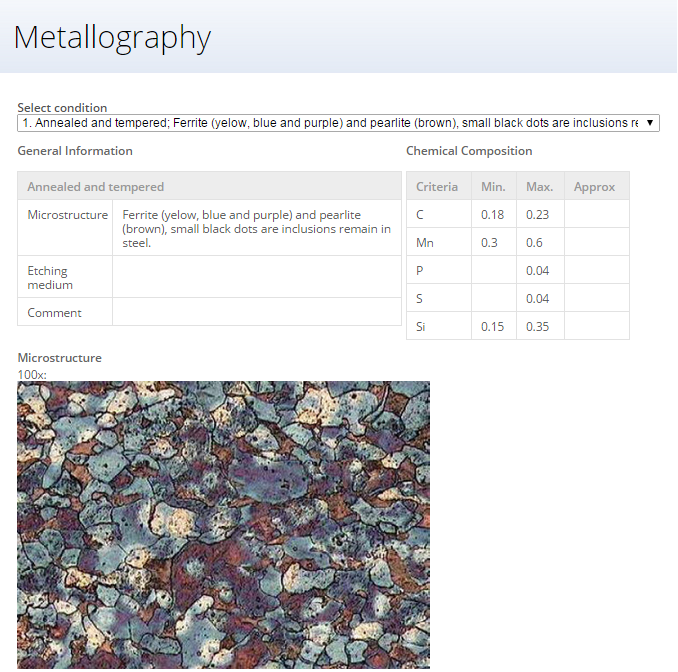 It has been found that A356 alloy has solidus and liquidus temperatures of ~572°C and ~610°C, respectively. 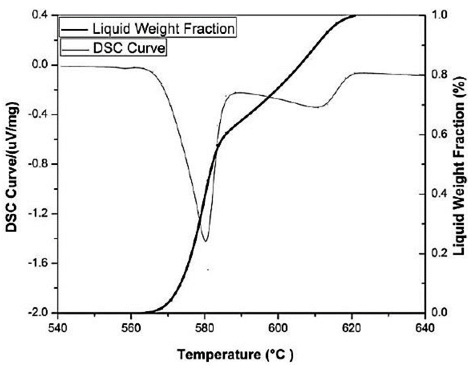 Figure 1 shows also the curve representing the variation of liquid weight fraction with the temperature. This curve was obtained after integrating the area under DSC curve. 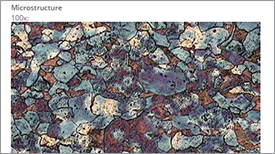 • The microstructure of the LSC ingots depends significantly on both pouring temperature and mold materials. • Increasing the pouring temperature increases the average grain size, while reduces the average shape factor, of the A356 aluminum ingots. • At constant pouring temperature, ingots poured in the copper mould exhibited the smallest average grain size when compared with those poured in the low carbon and stainless steel molds. • The average shape factor of ingots poured in copper mould was slightly lower than the average factor of ingots poured in stainless steel mould. 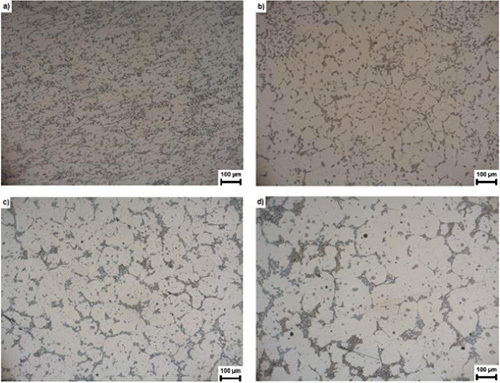 • The ANOVA results showed that mold material has higher statistical and physical significance when compared with pouring temperature on both the grain size and shape factor of the primary α-Al grains. LSC is not a complete technique to manufacture Al-Si casting alloys, it should be supported by a further process. Reheating is the second step of SSM methods and this ongoing procedure usually ends with either thixoforming or rheoforming routes. Reheating leads to spheroidizing of equiaxed grains by holding samples at just below their liquidus temperatures. Near net-shaped products are fabricated at the final stage of SSM techniques by deforming partially remelted semi-solid billet in a preheated die which called as thixoforging process. In the K.A. Güler et al. study, the thixoforging process is combined with low superheat casting is applied to A380 alloy, which is well known and commonly used in aluminum casting industry. 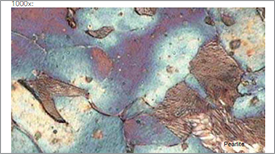 In Figure 2 as cast micrograph of low superheat casting is given. Low casting temperature combined with cold steel die showed a modification effect on microstructure. White regions are primary α-Al grains and dark zones are fine eutectic structure. It is obvious that, low superheat casting and subsequent rapid solidification suppress dendrite growth. In some places secondary dendrite arms were separated and in some other places primary α-Al grains were formed in shape near-spherical. 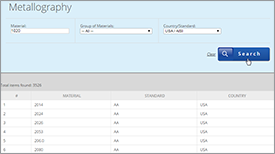 Solidus-liquidus range of A380 aluminum alloy is between 540-595°C and chosen semi-solid holding temperature 575°C is closed to liquidus so, it is expected that, for sufficient holding time whole eutectic phase is going to be melt. Micrographs of thixoforged round billets are given together in Figure 3. 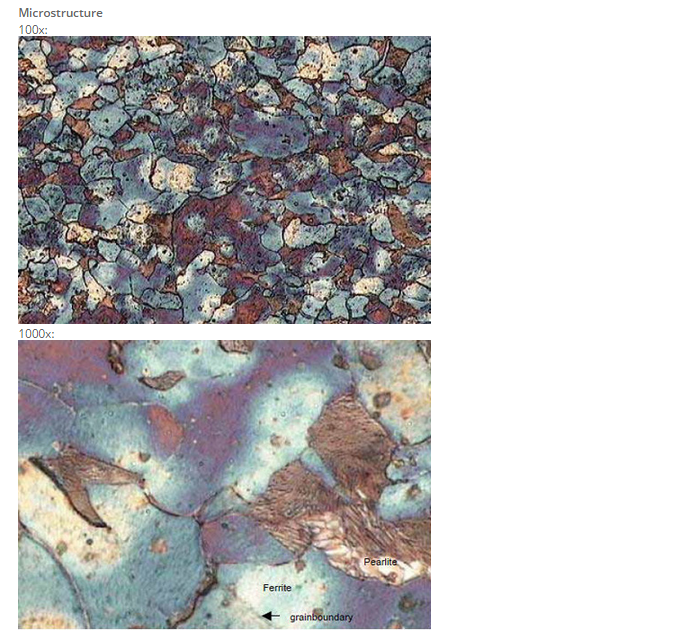 Microstructure in Figure 3a belongs to 20 min. heated specimen. It is understood that, there was not any prominent liquefaction occurs in this holding period and because of rapid cooling after forging, recrystallization was not completed so, deformation texture retained in microstructure. 1. K.A. Güler, R. Gecu, A. Kisazös, A. Karaaslan: Investigation of spherisation in microstructures of aluminium casting alloys for tihoforging process, ISSN 1067-8212, Russian Journal of Non-Ferrous Metals, 2017, Vol. 58, No. 5, p. 489–494. 5. K.A. Güler, A. Kisazös, A. Karaaslan, G. Özer: Microstructural evaluation of thixoforged A380 alloy billets produced by low superheat casting process, IMMC- 18th International Metallurgy & Materials Congress, Istanbul, Turkey, 2016, p.659-662.